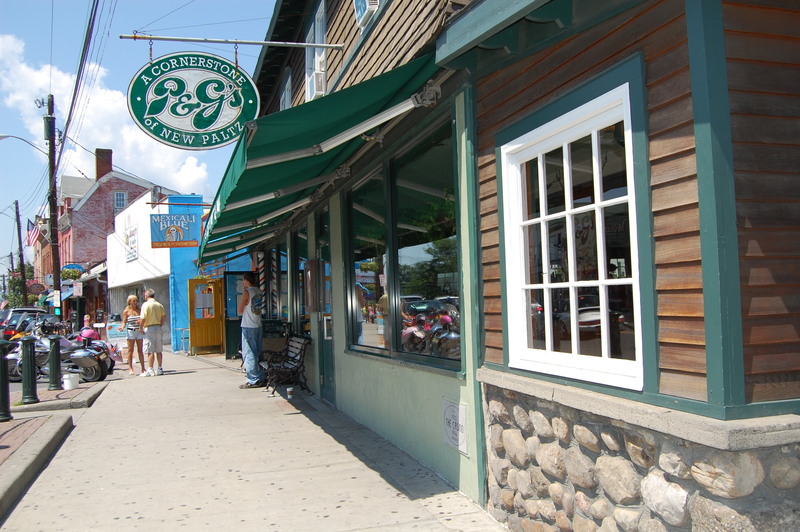 On the way Lake George, we stopped off at New Paltz, a college/hippie/NYC vacationer town. Steve and I are huge suckers for restaurants that specialize in bean sprouts, falafel, home brew lager, and earthy soups. New Paltz has a ton of them. 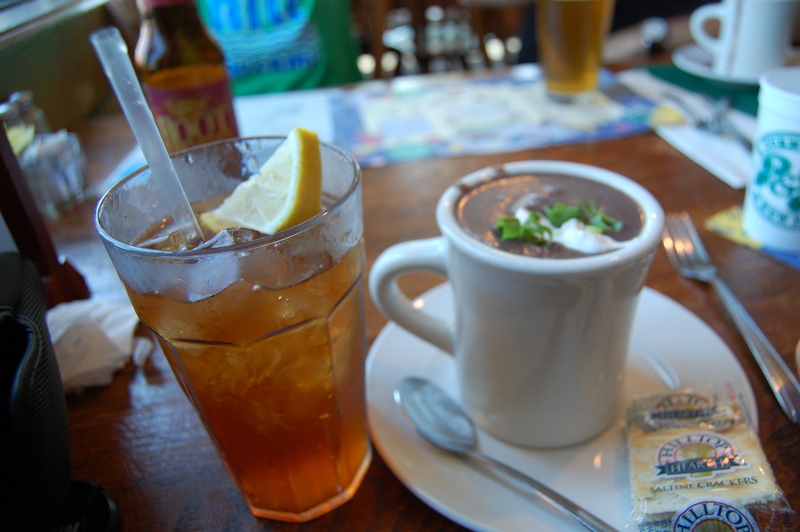 We were made ridiculously happy by this black bean soup. 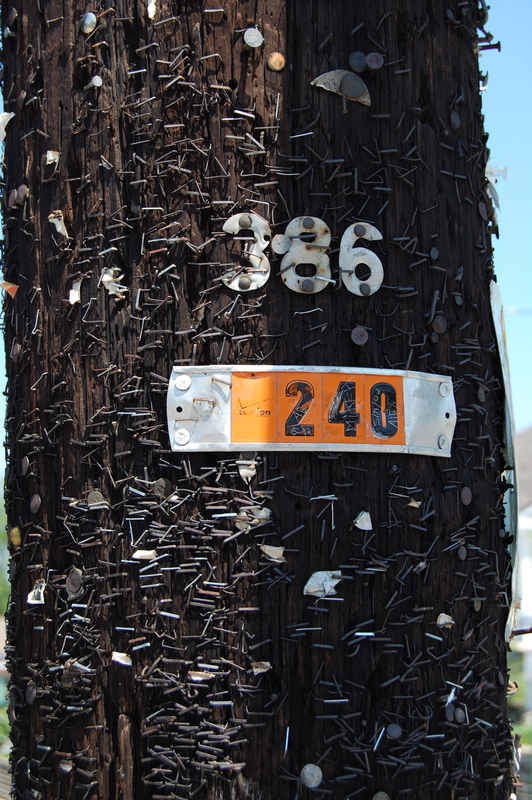 This telephone pole is pock-marked with thousands of staples that once held up advertisements for bands and used futons. Just dip me in vat of patchouli. Next > Who’s Your Daddy?